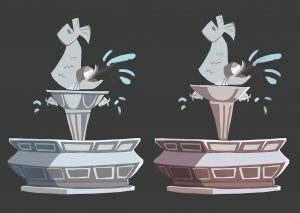 The fountain may not be the most talkative hero in our story – but it has a huge impact on the events! Have you ever wondered where the custom of throwing coins into the water and saying wishes comes from? You will find an interesting description about this custom HERE. There is also the theory that it is somehow related to the “Well of Wishes”, which often appears in fairy tales or folk tales. The coin represented a gift for gods, idols or supernatural beings – living in a lakes, rivers or seas. And the most frequent wishes include those that concerned health, happiness, victory or wealth. – and from this spells, the Thief’s private tragedy begins. The inspiration for the fountain was the architecture from our home city. 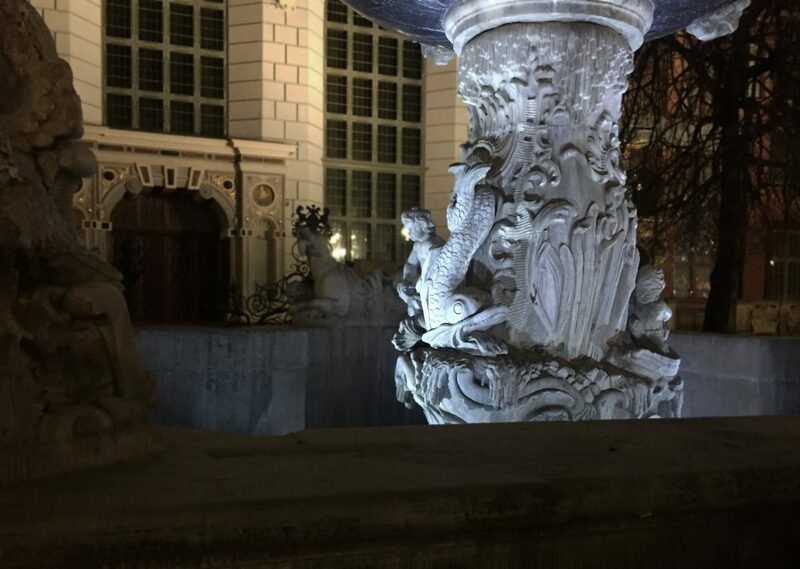 If you ever come to Gdansk, be sure to see the famous Neptune’s Fountain, and then maybe you will notice a certain detail… And we do not mean an incredible amount of shiny coins!